Southern Comfort Conversions Incorporated is North America’s largest manufacturer and supplier of aftermarket parts to General Motors’ Chevrolet truck division. Intended to customize assembly-line output pickup trucks, vans and SUVs, Southern Comfort Conversions exorcise the vanilla from most standard automotive recipes, replace it with 151-percent rum, season with a dash of danger and a grin like a gorilla on uppers. Southern Comfort Conversions is responsible for designing limited-edition interior and exterior ‘statement restyles’ that leave off-the-shelf output looking completely unique, serving personal tastes and requirements in both appearance and convenience. The finished product is intended to be recognizable as the donor vehicle but so different from the factory’s standard output that traffic stops and heads turn (hopefully in that order). Surely that’s no different to any number of custom outfits around the country, knocking out fender flares and front spoilers? Chevy Approved Uplifter It’s a Chevy-approved upfitter, meaning it designs and manufactures modifications for the automaker to retrofit; the vehicles are then sold just like any regular-edition automobile through the authorized dealer network. Buy Anywhere in the U.S. Thus, if a Southern Comfort creation is available for purchase anywhere in the country, your local dealership can find it, source it and ship it just as if you were simply set on a short-run color combo. If it isn’t already available and you’re buying new, you can put your order in as if you were asking for any other Silverado 1500. Although Southern Comfort Conversions factory does not take on one-off projects. It Tunes versions of factory production trucks to perfection and then mass produces these custom project. So what makes this manufacturer tie-in so important? This: the work will not void your warranty. Slapping a couple of extra inches underneath with an aftermarket lift kit can leave you high and dry if authorized service work or otherwise-insured repair work is required. 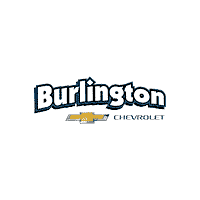 A Southern Comfort conversion, ordered through your friendly neighborhood Burlington Chevrolet or other SCA authorized Dealer, keeps your warranty in place. Judging strictly by those who vote with their feet, Southern Comfort Conversions seem to be doing things just right.